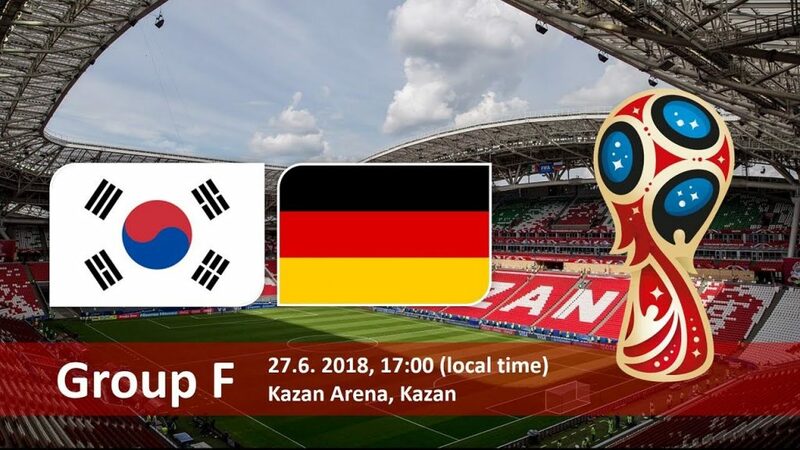 The clash between South Korea and Germany will be played at the Kazan Arena in Kazan on June 27th. The Germans barely defeated Sweden in the previous round thanks to a fantastic Toni Kroos who kept their dream of defending the title alive, while South Koreans suffered another narrow loss and will now play for the pride and prestige. After failing to attempt a single shot on target in the opener against Sweden, South Korea played way better in a duel with Mexico, but the lack of effectiveness in the attack proved to be the main reason why they suffered an elimination out of the World Cup. Mexico created a 2-0 lead through Carlos Vela and Chicharito as they hit the Taegeuk Warriors on the break, while Heung-Min Son only managed to soften the defeat in the 93rd minute and complete over 2.5 goals at +110 and BTTS at +104. On the other hand, the Germans went from 1-0 down to beat Sweden 2-1, but they experienced plenty of trouble along the way. Ola Toivonen opened up the scoring with a great lob shot in the 32nd minute and the Blue-Yellow had a lead at halftime, but Marco Reus tied the score in the 48th minute to restore Germany’s hope and bring the profit to the punters who bet on BTTS at -125. Germany became more nervous late in the second half and Jerome Boateng received his second yellow in the 82nd minute, but Toni Kroos stepped in and secured a late win thanks to a fantastic curler from the edge of the box to complete a comeback in the 95th minute. The entire country and those who backed over 2.5 goals at -125 can only thank Kroos for that moment of joy. Heung-Min Son scored the first and for now only South Korea’s goal at the World Cup, and it’s going to be interesting to see him in a matchup with German players as Son spent several years playing in the Bundesliga, so if anyone can hurt them it’s Tottenham’s forward. Following a commanding display against Swede, Toni Kroos stood out as a real leader of this generation, and he will be highly motivated to drive his nation forward on this one. Kroos is dangerous from set-pieces and his shot from outside the box can beat any goalkeeper on the planet. South Korea: Cho; Lee, Jang, Kim, Kim; Ki, Hwang, Ju, Moon; Lee, Son. Germany:Neuer; Kimmich, Hummels, Rudiger, Hector; Kroos, Khedira (Gundogan); Reus, Draxler, Muller; Werner (Gomez). Germany’s chances to win the World Cup are now +700, while the Die Mannschaft is -110 to reach the quarter-finals. Germany is a massive favorite on this one at -500, so there is no point on backing them to win unless it is on the spread, but after their opening two displays, I am not convinced they will defeat South Korea by three goals. I believe it’s about the right time for the Germans to keep their net intact and the Koreans are without a motive to get a win, so I am suggesting playing against BTTS.